I went to do a quick sweep of my apartment the other day, but I was out of Swiffer sweepers! Oh no! I didn’t want to use a brooooom. 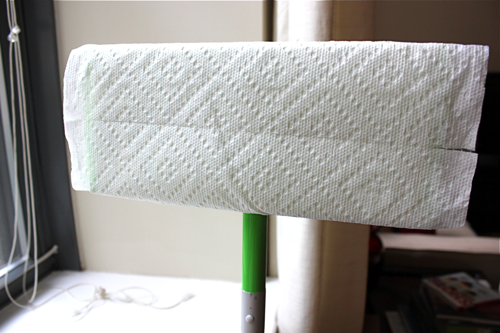 So I came up with a solution that has obviated my need to ever buy a Swiffer refill again. Hallelujah. Paper towels! I just ripped off a few sheets, wrapped them around the sweeper, and stuck them in those rubber holding spots. It worked like a charm. The crud on my floor stuck to the towel no matter how far or wide I swept. (Sorry, no pictures. 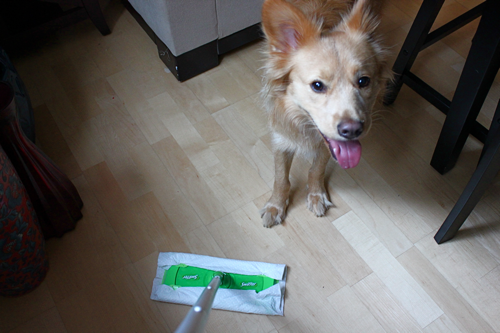 How clean or dirty my floors are is MY business!) I pulled the towels off when I was done, balled them up, and threw them in the trash. Have fun with your extra sweeper money!